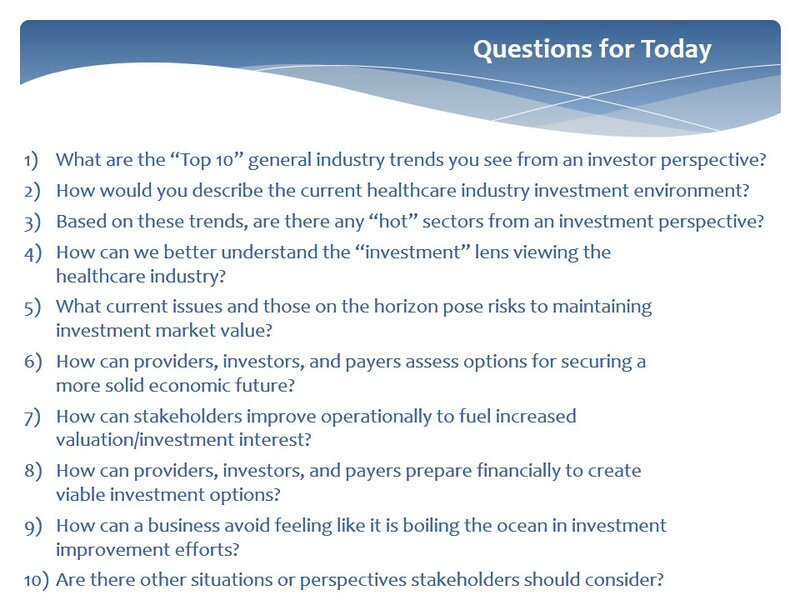 What are the “Top 10” general industry trends you see from an investor perspective? ​Financial pressures, legislation and government regulations are causing industry upheaval that is greatly impacting revenues for all healthcare organizations. Mergers and acquisitions, along with shifting reimbursement programs favoring results over services require healthcare leaders to be prepared to shift their marketing strategies in order to stay competitive in this dynamic market.